Mayor Gluxie wanted to send an update on what’s going on at her Animal Crossing Pocket Camp campsite! A new holiday campaign has begun, with Jingle showing up at the campsite to kick things off with a gardening event. The gardening event is very cute, we are planting poinsettias and then use our nets to catch the ‘elf hats’ which spawn on the flowers – essentially Toy Day elves that wear hats that are far too big for them. You can see their little feet sticking out from the bottom. How do they come up with these things? I’m almost up to the hard tasks! But that’s not the only big change. Animal Crossing Pocket Camp has added a new Cabin feature, which adds a new room for players to decorate and invite more of their favorite characters to stay in. 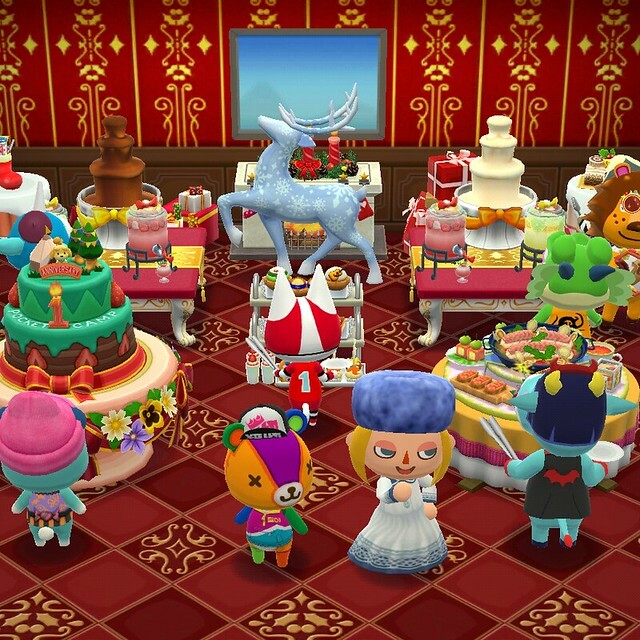 Mayor Gluxie set up a holiday party for the cabin, but is still hoping to get some more decorations to put up before Toy Day comes! 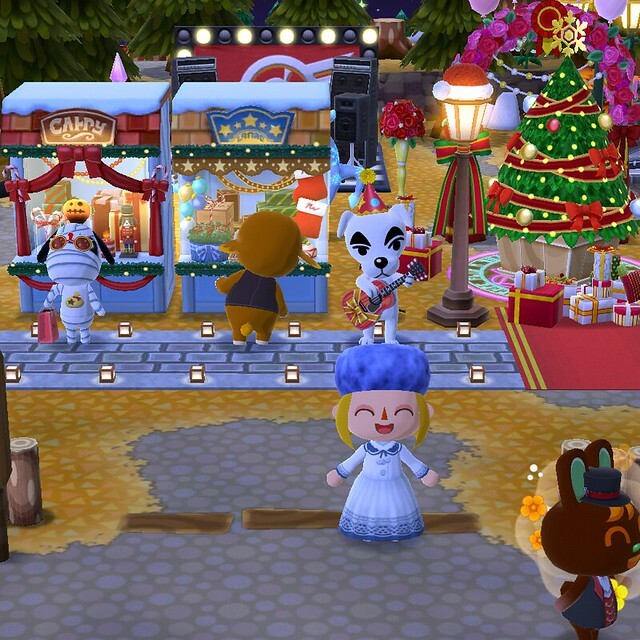 And as a special treat to celebrate the holiday, Mayor Gluxie has cleared out the concert main stage at the campsite to make room for a limited time Holiday Market! 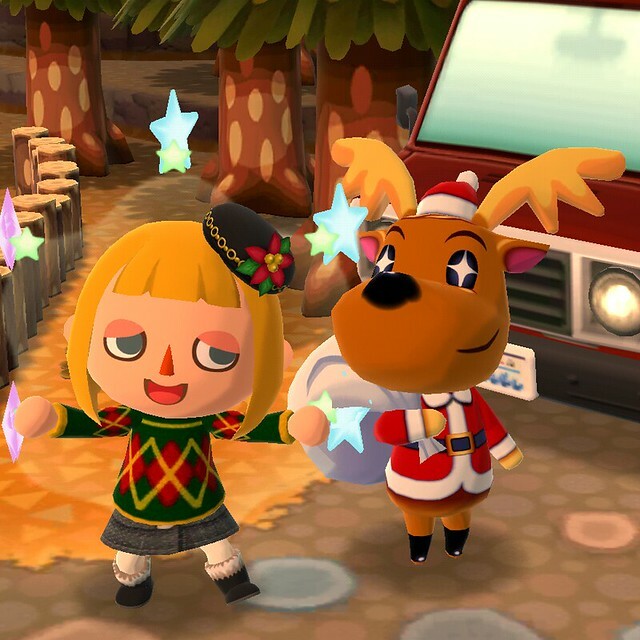 Now all of the animals can do some holiday shopping while still enjoying music provided by K.K. Slider. The second concert stage remains open and an open-mic area has been set up for those who want to belt out a holiday tune! So swing by Mayor Gluxie’s campsite and leave some kudos and white jingling elf hats please! Wishing you a happy holiday season from the Glux Blog!